California based luchador since 2008. 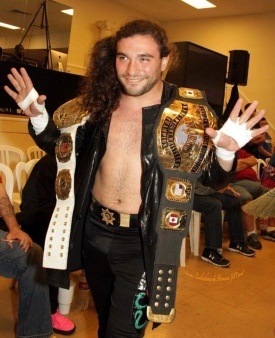 He has wrestled in lucha libre promotions in California such as AWS, SoCal, EWF, Santinos Bros Wrestling Academy, Pro Wrestling Guerrilla, Desert Pro Wrestling, and OWA. He appeared in Lucha Underground alongside Kevin Kross. He came to Mexicali invited by American Rebel to wrestle in LPF. He had appearences in Arena Nacionalista with the promotion LLI. He also wrestled at the Dragonmania XII event.